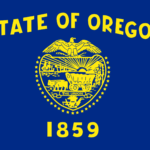 On Tuesday, the Oregon Public Utility Commission issued a pair of orders preserving a longstanding program to develop small solar and wind projects under the federal Public Utility Regulatory Policy Act of 1978 (PURPA). “These PUC decisions will help continue clean energy resource development for Oregonians,” said NW Energy Coalition senior policy analyst Fred Heutte. PacifiCorp and Idaho Power had asked the Commission to reduce PURPA contract lengths from 20 years to just two years, with no guarantee for renewal, even though Oregon¹s own PURPA law, passed in 1983, supports 20-year contract terms. Renewable energy developers, joined by Renewable Northwest, the NW Energy Coalition and the Oregon Department of Energy, responded that the two-year contract limit would effectively kill PURPA in Oregon by making financing almost impossible. Due to concerns about larger projects being artificially subdivided to meet a previous 10-megawatt limit, the Commission reduced to 3 megawatts the size of solar projects eligible for avoided-cost prices in standard contracts. Sponsors still may seek negotiated contracts for larger projects. The Oregon PUC’s rulings reaffirm the importance of renewable energy development in Oregon, and send a clear response to efforts nationwide to hold back independent development of solar and other renewable projects. Resources: Oregon PUC Orders 16-129 (Idaho Power, docket UM 1725) and 16-130 (PacifiCorp, docket UM 1734).. The NW Energy Coalition is a 35-year-old alliance of some 100 environmental, labor, civic, faith and human service organizations, progressive utilities and businesses in Idaho, Montana, Oregon Washington and British Columbia.